Corporal Robert Francis Hardy Conservation Area - Mansfield, MA - Take a day trip! 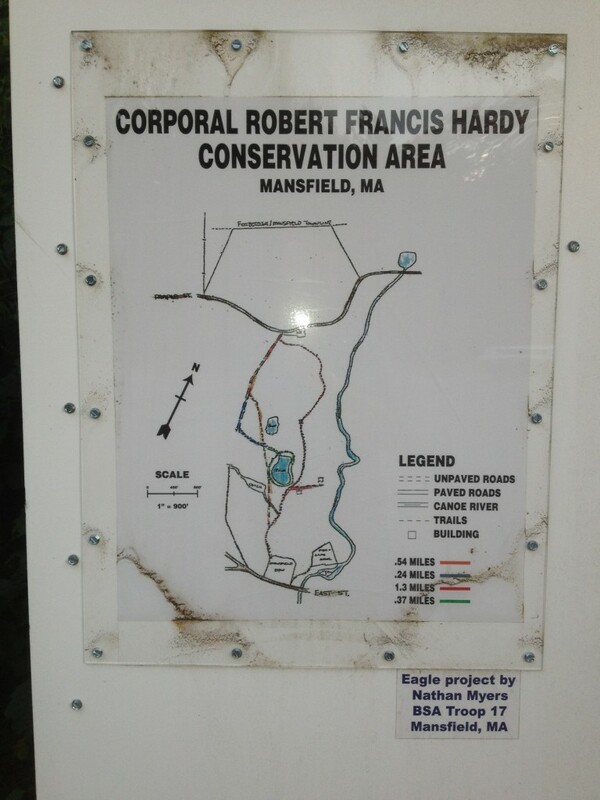 Corporal Robert Francis Hardy Conservation Area is a lovely forested parcel of land in Northern Mansfield. It’s a great place to go if you have a couple hours and you want to spend some time outside. Hiking: There is a small trail network here with a couple miles of trails that allow for a few different routes through the forested area. Routes range from a little over a quarter mile to nearly a mile and a half. Ice Skating: Ice skating is available on the pond at this area though be careful and ensure that the ice is thick enough to safely skate on. Cross Country Skiing and snowshoeing: The trails at this area are fairly wide and suited for cross country skiing and snowshoeing if there is enough snow to permit it. Bicycling: The trails in this park are well suited for a ride through the woods and biking is permitted on the trails. Dog Friendly: Dogs are permitted in the park and the trail network makes for a great place to bring your dog out. Facilities, Fees and other information: Park use is free and there aren’t any facilities beyond a parking area and information board with a trail map. Keep in mind that this park also can be very full of insects that can be really annoying. It’s probably a good idea in warmer weather to bring some bug spray with you. Nearby spots: If you’re looking for a park with tennis, basketball, a playground and other facilities drive a couple miles up the road to Memorial Park. 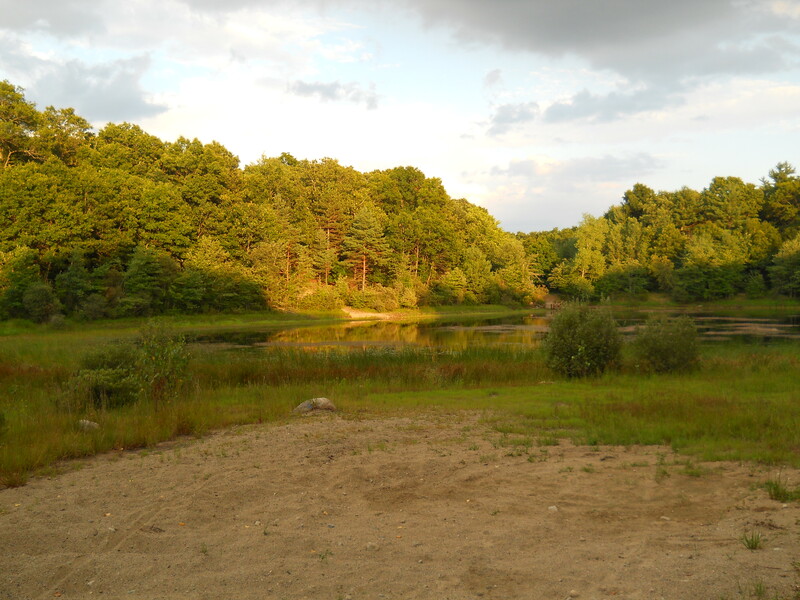 For more hiking, disc golf and a few other great things to do I’d head up the road to Borderland State Park in Easton.